We hosted a special archive edition of The Marc Steiner Show. If you’re of a certain age, you likely will remember Dr. Kildare in the 1960s. Or the miniseries Shogun (1980) and Thorn Birds (1983). And even if you’re too young to remember, you will enjoy my 2004 interview with the iconic star of stage and screen, Richard Chamberlain, who was in town playing the lead role in the Hippodrome’s production of Scrooge. 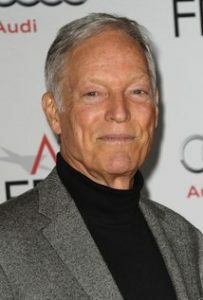 Chamberlain also talked to us about his autobiography, Shattered Love, published in 2003, in which this actor who had played countless heartthrobs openly discussed for the first time his life as a gay man.